Mustang refers to as the country across the Himalayas. Our Upper Mustang Lo Manthang trek is specially for the travellers who are keen to know more about Tibetan Buddhism. Government of Nepal has classified Upper Mustang as regulated region. Foreign trekkers need special trekking permits to enter into Upper Mustang. Therefore, the land is also famous as the forbidden Kingdom. Upper Mustang is located north to the Middle West of Nepal. 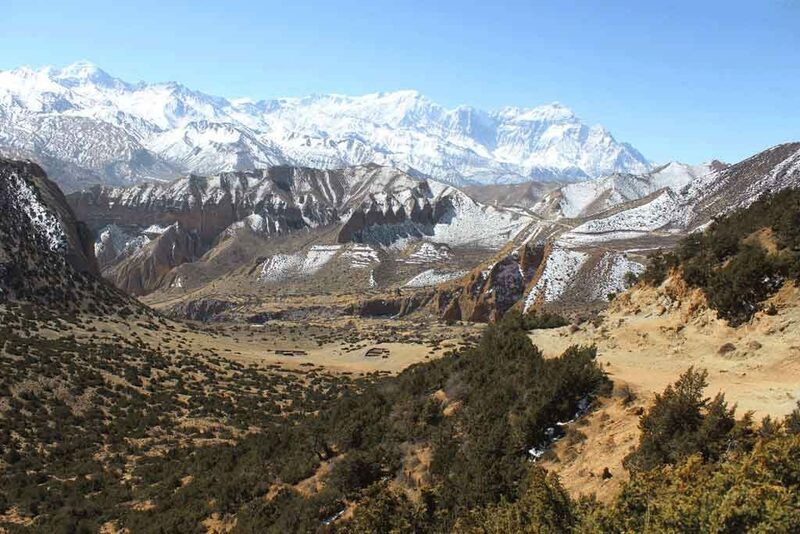 The Upper Mustang region starts generally from the north of Kagbeni. The Upper Mustang region has a great influence from Tibet for culture and traditions. 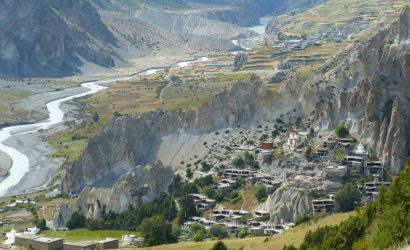 Lo Manthang and other villages in Upper Mustang are still untouched by the outside world. 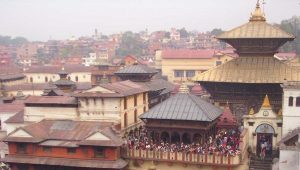 The 14th century monasteries are available active to preserve this magnificent Trans-Himalayan Kingdom with their unrivalled Buddhist shrines. 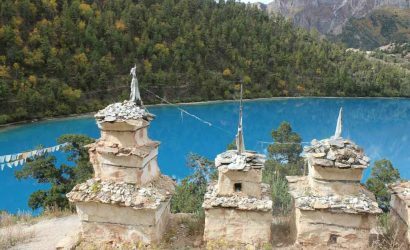 The cliff hanging monasteries, thankas, mandalas, deities and cave dwelling people are the main attractions of Upper Mustang. 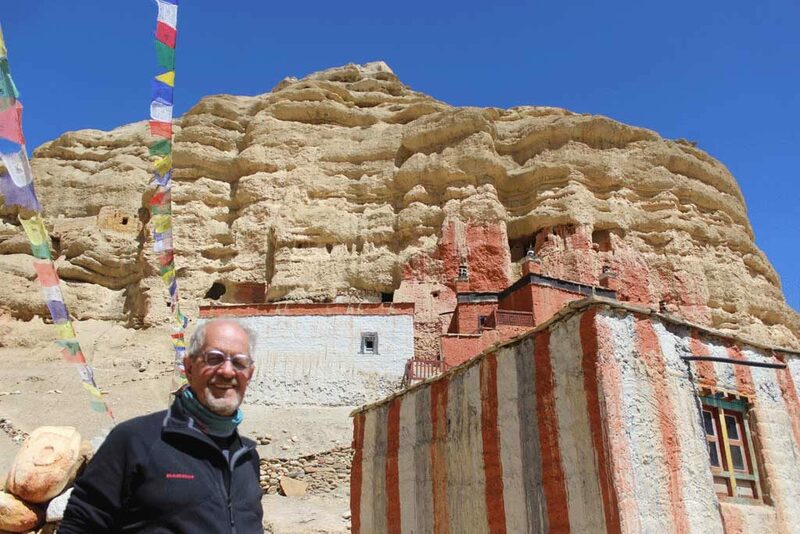 The traditional Upper Mustang trail used to be the Salt Road following through the bottom of the deepest gorge in the world – the Kali Gandaki. The extended Tibetan plateau up to Kagbeni has great rivers, fields with the highland and the pristine peaks of Annapurna and Nilgiri marking the horizon in the South. Trekking in this forbidden Kingdom gives you the opportunity to go where only a few have been before. 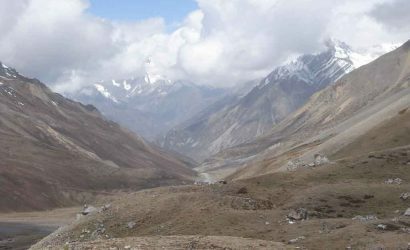 Most of the trek has deserts inhabited mostly by people of Tibetan origin. 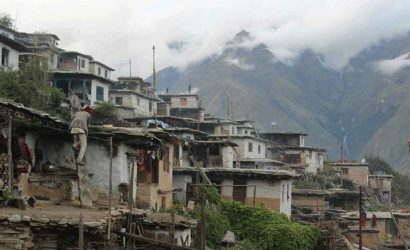 The scattered settlements have little sign of cultivation between villages. 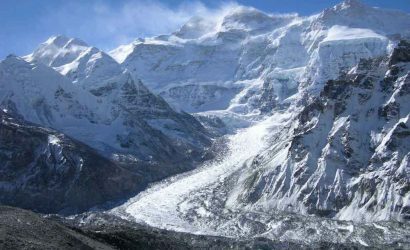 A steep rocky trail climbs up and down hills with panoramic views of Nilgiri, Annapurna, Dhaulagiri and several other peaks which make the trek truly adventurous and memorable. 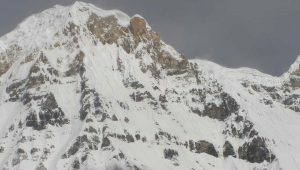 Hence, being in the Himalayan rain shadow area, Upper Mustang is one of the few parts of the country that is suitable to trek during monsoon also. Drive (200km) from Kathmandu to Pokhara (884m/2,900ft). 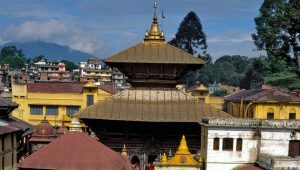 Drive Pokhara to Beni and continue to Kagbeni (2,800m/9,186ft). Trek Kagbeni to Chele (3,050m/10,007ft). We enter the Kingdom of Mustang today. Trek Chele to Syanboche (3,800m/12,467ft) crossing over three passes with the highest Beg La (3,840m/12,600ft). Trek Syanboche to Ghami (3,520m/11,550ft) crossing over three passes with the highest Nyi La Pass (4,010m/13,156ft). 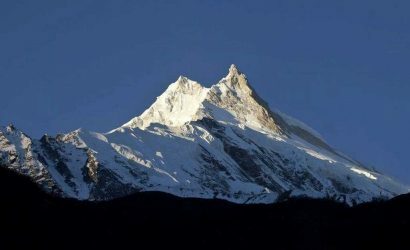 Trek Ghami to Charang (3,620m/11,877ft). Trek Charang to Lo Manthang (3,810m/12,500ft) crossing over Lo La Pass (3,950m/12,960ft) marked with prayer flags. 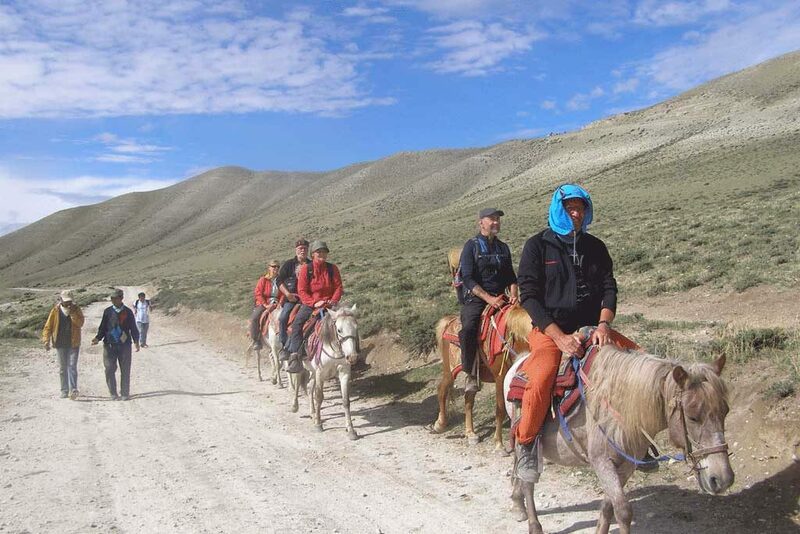 Excursion on horse to Choser (3,900m/12,796ft) and around. Return trip to Lo Manthang. Trek Lo Manthang to Dhakmar (3,820m/12,533ft) via Ghar Gumba (3,950m/12,960ft) crossing over two high passes of Chogo La (4,280m/14,042ft) and Mui La Pass (4,170m/13,681ft). Trek Dhakmar to Geling (3,510m/11,516ft). Trek Geling to Chele (3,050m/10,007ft). Trek Chele to Kagbeni (2,800m/9,186ft). Trek/drive Kagbeni to Muktinath (3,760m/12,336ft). Drive Muktinath to Tatopani (1,190m/3,905ft). Enjoy natural hot spring. Drive Tatopani to Beni and continue drive to Pokhara.